The most dependable company in Texas! Garage Door Repair Lockhart is recognized for its skills and offers great garage door maintenance, installation and replacement and is fast when there are urgent problems. Our service personnel at “Garage Door Repair Lockhart” are highly competent and thoroughly experienced when it comes to maintaining and repairing the springs in the door of your garage. We can guarantee that your door will be back to its optimum condition and that related issues are properly addressed. Of course, aside from fixing spring defects, we check for other concerns that may be responsible for the faster degradation of the springs. There could be a problem in the balance of your overhead garage door. Something could be wrong with your garage door tracks or hinges. We make sure that we are not only addressing the conspicuous problems. We carefully examine everything when we do our garage door repair so defects don’t recur. As an experienced company, Garage Door Repair Manor solves issues fast. It is well-equipped and has the best technicians in Texas. The services are fast and cover all residential overhead door needs. 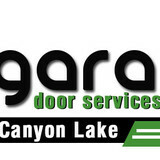 Garage Doors of San Marcos has been proudly serving customers for over 18 years. We take pride in our quick, courteous, and professional specialists who will repair your garage door problem, anywhere, any day, any time! All of our garage door repair technicians are trained to meet our very high quality standards. We offer a 100% satisfaction guarantee on all of our services! Join the thousands of satisfied customers that have trusted Garage Doors of San Marcos for all their garage door and automatic gate needs. 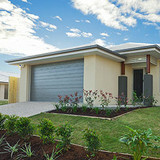 A garage door has a huge impact on your home. It’s the largest moving part of your home. It’s more than a garage door, though. It’s also the second front door to your home. It enhances the curb appeal, energy efficiency, and security for your home. Don’t trust anyone else but the experts at Garage Doors of San Marcos. We are the highest rated and most experienced garage door repair and service company in the San Marcos area, with the most experienced, professional, and courteous technicians. Our team of garage door technicians will repair all your broken springs, openers, and doors with same day service in most cases! When you’re ready to give your home a makeover, Garage Doors of San Marcos has the highest quality garage doors in the area. We can install new garage doors, garage door openers, and garage door accessories to enhance your home’s value. We also provide the best value for all garage door-related products and service, and use only the most dependable parts. The exquisite service and dedication of Garage Door Repair Cedar Park ensure the excellence of the company's work. It's the best in Texas for electric opener maintenance and also offers top garage door replacement. Anyone looking for a reliable contractor in Texas will find comfort knowing that Garage Door Repair Brushy Creek is a dynamic, emergency company with huge experience. It offers outstanding garage door maintenance. Garage Door Repair Jollyville is the most experienced overhead door service provider in Texas and manages to solve problems fast thanks to its great infrastructure. 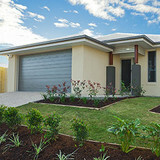 The technicians are knowledgeable and experienced. The technical power and experience of Garage Door Repair Anderson Mill underline the company's capacity to offer services with speed and perfection. It's the best in Texas for rollup maintenance and installation. The best service provider in Texas! Garage Door Repair Round Rock is efficient, knowledgeable and responds fast. It's an expert company in opener replacement and Genie repair, and ace in overhead door service. What types of garage door service tasks do contractors in Jonestown, TX provide? A damaged garage door can lead to increased security risk, ruined belongings and an unpleasant exterior, so look for Jonestown, TX repair professionals who provide same-day or emergency services if the damage is extensive and poses a potential health and safety risk. Find Jonestown, TX garage door repair professionals on Houzz. Narrow your search for garage door repair professionals by selecting the nearest city or zip code. Look at portfolio and product photos, and read reviews to find the best garage door contractors in Jonestown, TX for your home.